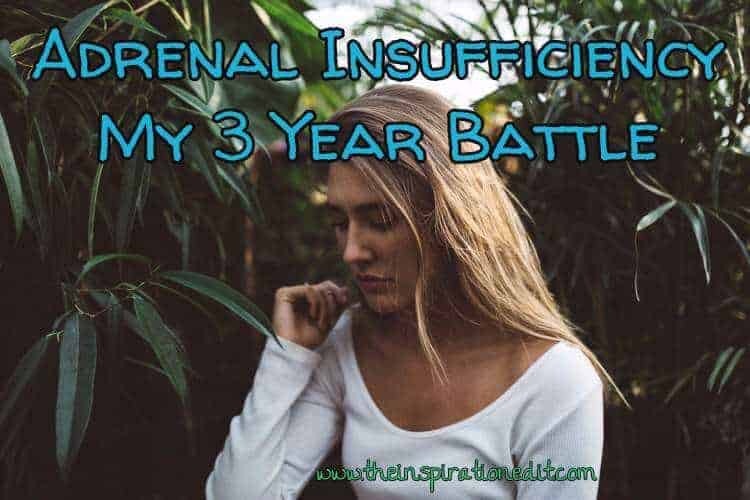 This time 3 years ago as I was preparing for the rest of my life I was diagnosed with adrenal Insufficiency. I was a single mother with 16 weeks to go before my life-changing Wedding. My friend and I travelled to East Yorkshire looking for Wedding Dresses and I was excitedly anticipating a new beginning. My husband did not move into the family home until the day of the wedding. 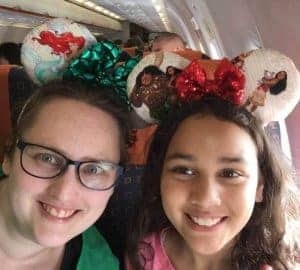 I’d been a single mother and we had new dreams to embrace together, raising my daughter, having more children, saving for a home and building a life of happiness. Then within two weeks our dreams were shattered. I was diagnosed with Adrenal Insufficiency. I collapsed and was rushed into hospital. My blood pressure was low and I was going into what you call an ‘Adrenal Crisis“. I was taken to the nearest hospital and once I was well enough they transferred me to another hospital where the Endocrinology specialist worked. I was told my Cortisol levels were dangerously low. I had Adrenal Insufficiency, an illness so rare, I had that I never heard of it! I spent the next year undergoing tests, scans and more tests to try and work out the cause or reason for my illness. Doctors could not work out the cause but they did work out that I had Secondary Adrenal Insufficiency and I came to understand just how difficult and dangerous life can be living with the illness. John became my husband, a father and my carer in one fowl sweep. Our plans were turned on their head. My husband could not work as I was too weak and ill to walk. John had to carry me, drag me up the stairs, take on the parenting duties, do the school run, buy the groceries. Life was turned upside down. Our plans to build our family were shattered. Being ill does not take your happiness away from you. We try to be happy and make the most of life despite the Adrenal Insufficiency curve ball we have been thrown but it’s not been easy. After a year of illness and being bed bound, my body was so weak. The Endocrinologists did not think there was any more they could do. They said I must have developed Chronic Fatigue, however my serious inability to do “physical things” only started on the day I collapsed. The Endocrine Nurse said, I was on the correct medication and I was told, I’d have to accept that I have chronic fatigue and AI and that was life. But this did not make sense to me. Whenever I was heading into Adrenal crisis the hospital would give me IV steroids. I;d suddenly be able to stand and walk around. The stabbing pains I felt would disappear and whilst on a drip and having IV steroids I’d feel well once more. As soon as I went back onto my steroid tablets, I’d be back to being unable to walk and stuck in bed. John and I could not accept there was nothing more to be done! We heard about the Adrenal pump, which really is a Diabetic Pump which adrenal insufficient patients can use to release steroids into body subcutaneously rather than via the tablet form. 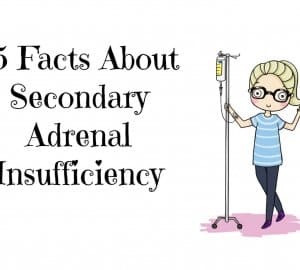 Adrenal Insufficiency is rare and not much has been done to help people with the condition, Hardly anything in comparison to conditions like diabetes. In fact most patients are still receiving the same treatment that was given to patients back in the 1940’s. Not much has been done. Steroid tablets keep us alive but result in a poor quality of life. You can end up under and over replaced. Yes there is a day curve test which could check what you need while laying down for the day but I’d challenge the accuracy of this. Who has the exact same stress levels each day, each hour, each week? No one! I began researching about Hydrocortisone Infusion Therapy and reading about the huge changes people experienced when switching from steroid tablets to the pump. I heard fatigue decreased, people were able to work once more, pain decreased, headaches subsided. I decided I wanted the chance to try this new and successful medication. However, there was one problem. The technology is still quite new and the NHS will only used on Adults who can not absorb tablets. My husband and I were having no success in the area we lived and so we decided to move to Lancashire to have greater access to new Endocrinologists and hopefully to get access to the life changing medication. We arrived in Lancashire a month before our first Wedding Anniversary. I was referred to a New Endocrinology Team. I’m glad I was because it turned out I had been on far too much steroid medication and this had caused serious health problems. I had gained almost 6 stone in weight, become pre-diabetic, was having bone pain, chronic pain, headaches, stomach issues and repeatedly collapsing and going into hospital. A major problem I had was waiting times and cancellations. It took almost 18 months to have the tests the Doctor wanted and the nurse kept telling me I must have chronic fatigue. It seems if you can’t figure it out, blame it on Chronic Fatigue. Yet again, this did not make sense as IV medication in hospital makes me normal! As soon as I’m out I get ill again. Each time I went to my appointments which have been few and far between I asked to try the “Adrenal pump”. I was told “we don’t know ‘enough about it”, “We don’t do that here”, “You can absorb some steroids” and “It’s really expensive. However on my third appointment in Lancashire I saw a female Doctor. She recommended I focussed on losing weight. My steroids had been wrong, they were now reduced to a better level and they wanted me to try to get out of the “pre-diabetic” phase and get slimmer. I was also told if I lost weight I would have a much greater chance of the adrenal pump as I’d need less steroids for my body size. So my GP referred me to the weight Loss team in Manchester. They said in order to get surgery or support to lose weight I’d have to commit to a diet for one year and lose at least 30 pounds. So I did it. I lost the weight I was asked to. I felt starved but forced myself to eat a diet of 1400 calories a day for the year. I lost the 30 pounds in the first 4 months and then maintained ever since. I simply could not lose anymore. I sat in bed and stayed in the home unwell for a year as I worked towards weight loss surgery and trying to get my Adrenal medication correct. Half way through the year, I was taking an Insulin Intolerance Test to try and test my Pituitary. It was at this time, the nurse got muddled up. She said she was testing Growth Hormone and I asked her to double check. She came back and said actually I’m testing for Cortisol, which is the hormone Adrenal Insufficiency patients cannot produce. I asked the nurse to test my Growth Hormone anyway and she did, which turned out to be a good thing as this is how they discovered that I do not produce the Growth Hormone. So it turned out I had two hormone problems not one. This pinpointed that my Pituitary is the problem area, yet the Endocrinologist does not know and said he will probably never know why it is a problem. The Endocrinologist then went on holiday and I had to wait 4 months for a second test to confirm the diagnosis. I then had to wait 2 months to begin treatment. I started growth Hormone injections in December 2015 and have been on them now for 12 weeks. I was told the Growth Hormone would help improve my health and it has. The continuous pain I suffered and the sudden temperature flushes slowly reduced. My muscles have strengthened and I’m no longer pre-diabetic. I started on the lowest dose and every 6 week they will test my blood and increase it until I’m at the right level. I still have to wait to see what else might improve over the coming year. However my Adrenal Insufficiency remains a problem. I am still over and under replaced. I still get exhausted all the time. I’m still brain fogged a lot, have headaches, dizziness and nausea. In December, around the same time I started my Growth Hormone I was told I had met the conditions for bariatric surgery and was given an operation date for January. I went on a pre-op diet and my hair began to fall out. I became more weak than I’d ever been and got very sick. I also lost a lot of blood due to a period which started last year and has never stopped. Almost 16 weeks now. My January operation was cancelled due to too many elderly in hospital and I was rebooked for the start of February. This again was cancelled and my third operation date in mid-February was also cancelled. I became very unwell after having been on the liver shrinking diet for 6 weeks and after the third operation was cancelled I went back to normal food. I was given a 4th operation date which is supposed to go ahead in 10 days. My GP also referred me to a new Endocrine team in Manchester, the team where a study had been conducted to test the benefits of using the Adrenal Pump on 3 patients with secondary Adrenal Insufficiency. Although I was referred, I have not had an appointment 3 months later. I Started a Go Fund Me fund a year ago this week, to try and raise money to go private, to see an Endocrinologist and pay for the better treatment for my condition myself. We are also saving to move into an adapted home which will make life easier for me, my husband and daughter. I’ve been blogging about my Journey for a year now and today I write this new post as an update. 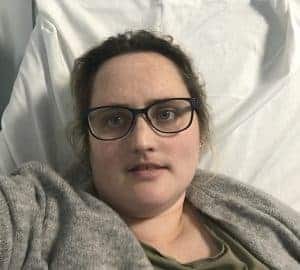 It’s not quite been three years but I’ve called this My Three year battle because I’m hoping that by July this year, I will have recovered from my major life changing operation and have become more successful with my crowdfunding. The battle won’t end in July. I will have to keep fighting for the treatment I deserve as a human, as a mother and as someone who is sick day in day out due when there is a potential treatment which could improve my quality of life. The pump when I get it could make a difference to my life and that of my husbands but most importantly that of my daughter. She has the right to a healthy mother and I will fight my hardest to get this. 10 years ago the diabetes pump was not often used and look where it has come now. I was told by the secretary of an Endocrine Specialist that one day the Adrenal pump could be more available and more normal “as treatment” but this will only be after people have used it and shown it changes quality of life and saves money in the long term. If you have this illness then I’m sure you would want the option of the Adrenal pump. If you don’t and your child was diagnosed with the condition tomorrow, I’m sure you’d fight for it! I’m fighting for me but also for those who will need this treatment in the future. If I don’t do it, then who will? So my plans are to have this operation and recover from this before the end of the school year in July. To continue my Growth Hormone injections. To get into an adapted and suitable home. It may take more time, many more months, another year. I do not know and even if I do get this pump, it won’t take my Adrenal Insufficiency away. It may improve my general well-being and allow me to do much more, but I will still be limited and still be at risk of Adrenal crisis and death. Since Diagnosis, I’ve known eight women who have died from my illness. All young and due to Adrenal crisis. One lady died this month bless her. It’s sad when you’re in a Facebook group of people will your condition and every so often one dies. It’s scary. More needs to be done and if and when my health gets to a much better level, I will continue my fight for Arenal Insufficiency, for awareness and for better treatment for adults and children. If you or your child was diagnosed with a well known condition next week, the chances are you or they would not be stuck in bed sick for three years. I don’t want others to go through what I’ve been through and the only way to make sure things improve for people with AI is to fight for change and so I shall. This is my three year battle and it’s now way near over. Yes I’ve known AI patients on Steroids die in the past three years, but i have not seen or heard of a patient on the Adrenal pump die. I’ve also been told by several Pump users i other countries that they have never been admitted to hospital since going on the pump. I know that’s not the case but the Manchester research backs up that the Adrenal pump reduces hospital admissions. Hospital Admissions not only affect me and put my life at risk of death, they affect my child and my husband. I deserve to be treated because I’m a person with an illness, a human being, a child, a sister, a wife and most importantly- because I am a mother. Since writing this post, I have had private treatment and at 3 and a half years after diagnosis my health is more stable and I’m managing the condition better although Adrenal Insufficiency affects me day in day out. To read more please visit my Adrenal Insufficiency category. Thank you for sharing. You have been living bravely for three years and I know you will. I hope you could find an organization that can support this kind of fight. Wish you all the best and Keep fighting! Thanks so much. I hope we can fight it and get more well and manage this better! Please contact me when you get chance. Kindest, Amanda. Reading your post was so moving and living with a chronic illness myself I can identify with so much of it; the frustration of not being able to do anything that you want to, not being there for your child as much as they deserve, there being no let-up, having to depend on others and the constant waiting for treatment etc. My heart goes out to you and your strength is an inspiration. thanks natalie. It can be really tough. I appreciate the NHS but it is a slow slow process and i am trying to raise funds so i can be seen and helped much faster but it is a tough long road. Thats ture. Thanks Tamsin. I know the feeling of just trying to get well. it is difficult at times.